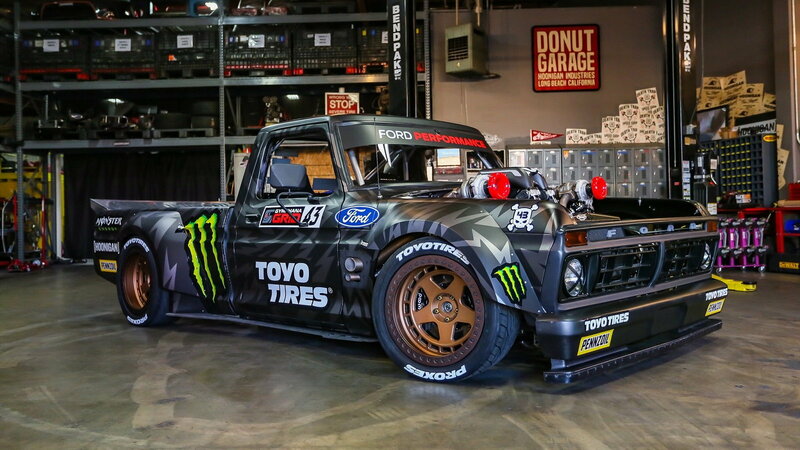 Daily Slideshow: Capable of reaching insane speeds and burning tires to the ground at will, Ken Block's F-150 masterpiece has left a lasting impression on everyone who sees it. It isn't often that we are graced with a build so insane and unique that it leaves a lasting impact on our brains. 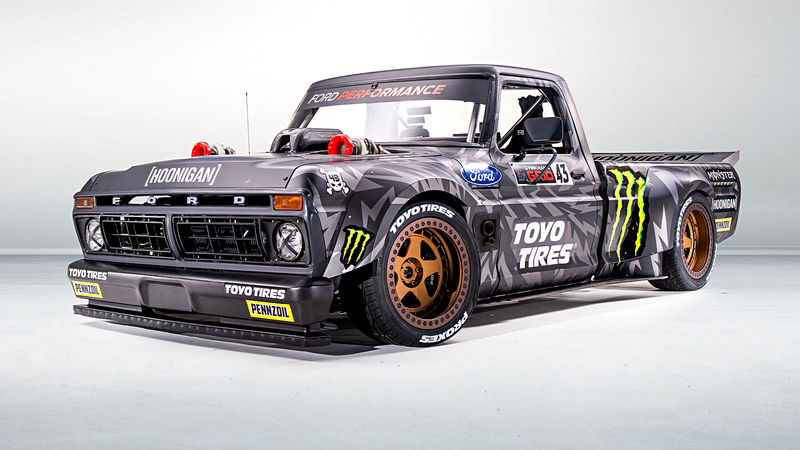 Ken Block's amazing 1977 Ford F-150 "Hoonitruck," however, is such a machine. But given his track record, perhaps that shouldn't have come as a surprise. But we suppose that when you're an accomplished race car drive and adrenaline junkie, typical toys just won't cut it. Especially when your latest claim to fame is a series of viral videos known as the Gymkhana series. >>Join the conversation about this crazy 1977 F-150 right here in the Ford Trucks Forum! 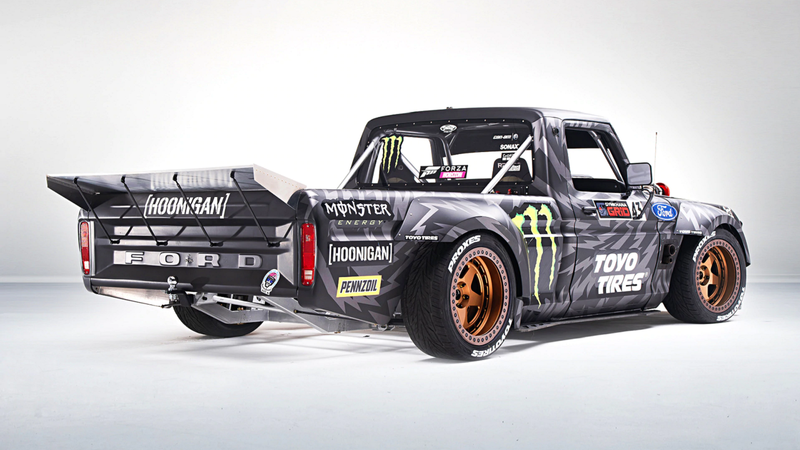 Until the Hoonitruck came around, Block used a series of traditional performance cars as the basis of his builds. There have been Ford rally cars both old and new, as well as his insane "Hoonicorn" 1965 Mustang. 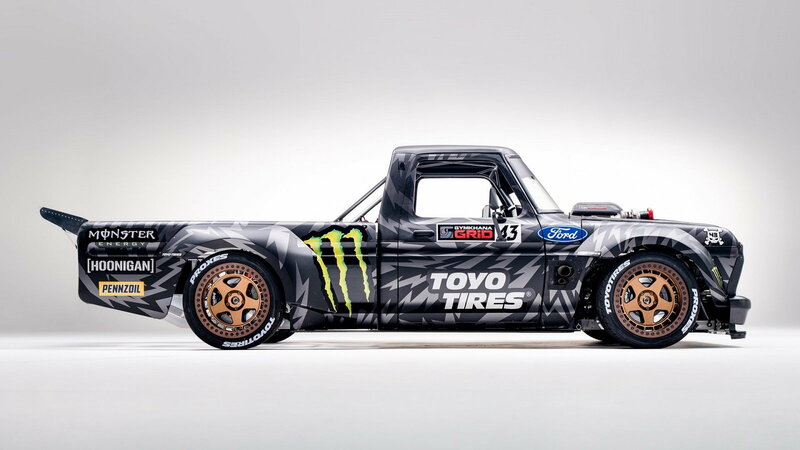 So why would Block stray from this successful formula for the latest installed of Gymkhana and pick, of all things, an old Ford pickup to transform into a race truck? Well, there are a couple of very good reasons for this unconventional build. For starters, Block's late father once owned a 1977 F-150. And that's exactly what the younger Block first learned to drive in. 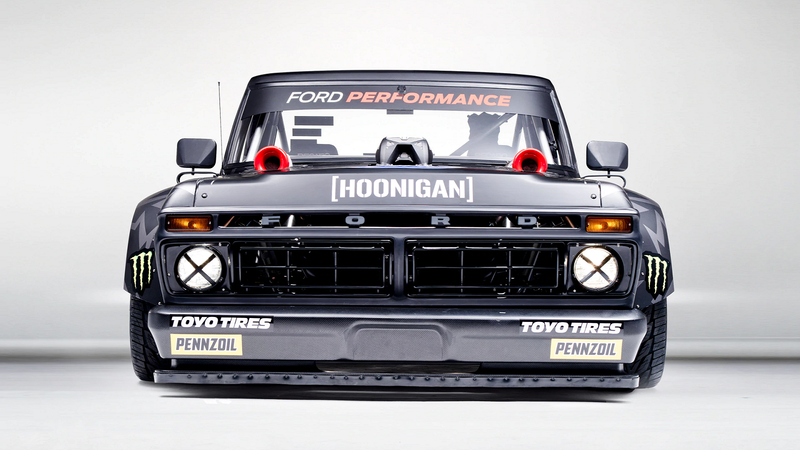 Thus, the Hoonitruck is both a tribute to Block's father and a nod to his past. But other than that, it's nothing like any old F-150 you've ever seen. Starting with what's under the hood - a 3.5-liter Ecoboost V6 pumping out an insane 914 hp and 702 lb-ft of torque. Pretty much everything else you'll find here screams race car as well. 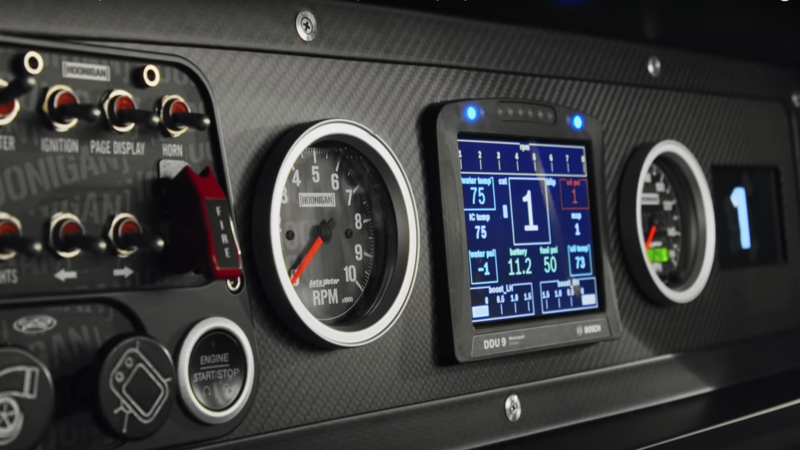 The Hoonitruck has a 6-speed sequential transmission, just like the Hoonicorn. And it's also all-wheel drive for maximum traction. The vintage body isn't even original, as it's been hand-formed from aluminum for maximum weight savings. An incredible amount of fabrication went into creating this monster, and it shows everywhere you look. The result of all that labor and brainstorming is easily the most unique pickup we've ever seen. And above all, it's the perfect fit for a guy who's always stood out from the crowd. “This project has been in the works for about 2 years,” said Block. “I’m beyond pleased with how it turned out, it’s simply one of the most badass and unique vehicles I’ve seen in a long time and I think it compliments my Hoonicorn perfectly. It’s also crazy to be throwing something around that’s this size when doing Gymkhana-style driving. But, it looks absolutely wild on camera, and that was our goal from the start."